Rama Burshtein is a baal teshuva, a secular Jew who returned to the faith. She joined Orthodox Judaism at age 25. Prior to her return to Orthodox Judaism, she attended the Sam Spiegel Film and Television School in Jerusalem. 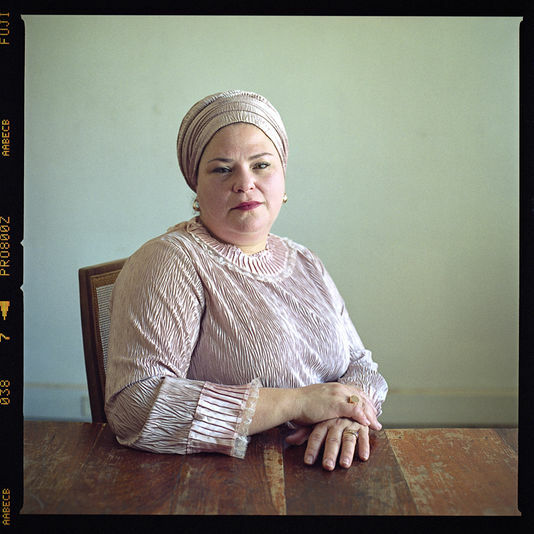 Once part of the Orthodox community, she was still involved in writing, directing, and producing films as part of a collective of Orthodox Jewish women filmmakers who funded, produced, wrote, and directed films for themselves. Orthodox Judaism is a highly insular community which typically forbids watching secular television and movies. Fill the Void makes Burshtein the first ultra-Orthodox woman to write and direct a feature. Many baal teshuvas have influenced art and music over the years. A recent example might be the actress Mayim Bialik, who played Blossom on the television series of the same name and now stars on The Big Bang Theory. “I’m a storyteller more than anything, and I realized that we had no cultural voice. Most of the films about the community are done by outsiders and are rooted in conflicts between the religious and the secular,” said Burshtein in an interview with The Washington Post. Burshtein is credited with bringing secular viewers into the rhythms and rituals of the Hasidic Orthodox community through the film, but many critics are quick to bring up the easy comparison to a Jane Austen novel, especially since Burshtein has expressed her love for Austen in interviews. While Fill the Void may have some similarities, it’s more than a story about match-making in a particular community. Burshtein enables the audience to relate to the family in the film by tapping into universal human experiences. Although the family is of an insular religious community, they lose a daughter in the film, even as they gain a grandchild, and must cope with the loss of their loved one, even as life goes on. We also see the younger daughter, Shiva, try to maintain some semblence of independence in a society where it is expected she follow certain rules and rituals. Burshtein looked for an actress to portray Shiva for over a year. Hadras Yaron won the Volpi Cup at Venice Film Festival for her portrayal of the young woman. Burshtein took the script for Fill the Void to the Sundance Screenwriting Labs and spent more than a year on the film in post-production before it premiered at the Jerusalem Film Festival, then went on to Venice, Toronto, New York, London, and Sundance. It was Israel’s submission for the Academy Awards’ Best Foreign Language Film and won three Ophir Awards (Israel’s version of the Oscars) for writing, producing, and directing. The film was picked up for North American distribution by Sony Pictures Classics. 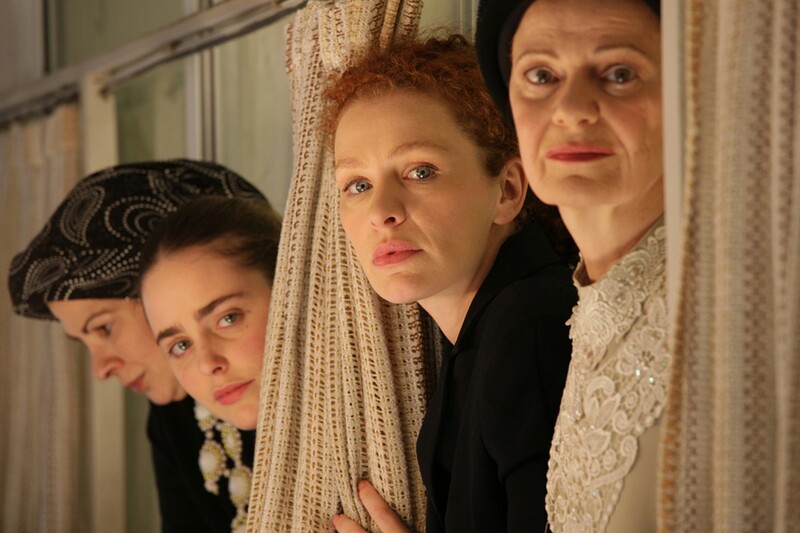 When asked whether we will see other Orthodox women directing films, Burshtein is doubtful. “I don’t know. I’m different, because I learned the craft before. I know the world. I had 20 wild years and grew up in a very liberal home. My parents said, “Rama, just express yourself. If you want to write, sing, dance, just express yourself.” So in the Orthodox world, which is like the Jewish world, [women] are not educated [in their] spare time. They live their life as if there is a bridge and there is a million dollars at the end of the bridge. And they are running to get it. They don’t have time to stop and watch a film. They’re very strong in the way they feel, and part of me agrees with it, and them. Burshtein has plans for a second project but has also said she would be happy if Fill the Void is the only film she does. “The second project is always a trial. The first one has the passion and preparation of all the years you were trying. The second one does not have that and it is a real trap. I think that my biggest present right now is me being 46 and not 20. Coming into the world. It’s not about that at my age, almost a grandmother,” she told Film Independent.